Proven Ways to Make Money Online - The Complete Guide! Learn the top 100+ real ways to make money online via blogging, freelancing, teaching and affiliate marketing. The one and only complete course on making money online. It gives you detailed explanation & practical examples of top 100 ways to make money on the internet. Be your own boss and learn the easiest process of earning money online with step by step video lectures and proofs. As an instructor of this course, I myself make six figures income on the internet online, and that's why I'm going to teach you the same process with easy steps to follow. Why We Need to Make Money Online? Great question! we need to make money because we want to help our family, we want to buy a house, we want to buy a car, we want to do shopping, sometimes we want to travel the world. So for all activities, we need money, but as financial crisis has been arising in the world, we can't earn with 9 to 5 jobs as we desire. Therefore, we must make internet as our friend in order to make huge money. While making money online, we'll have freedom which we can't get in physical jobs. What will you exactly learn from this course? 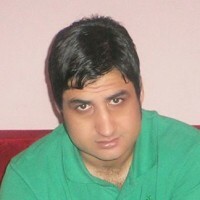 Abdul Wali is a Pro-Blogger, Web Developer & SEO Marketer. The reason He's here on Udemy is to provide high quality courses which can be useful and practical for students, He's been creating courses which have turned students into web developers and newbies into entrepreneurs. He tries to create courses for students which can change their life. He has thousands of daily visitors on his websites, thousands of subscribers on YouTube and millions of students around the world, you can visit his websites to check his online reputation. Do join his courses on Udemy, He'll always be around you for help and support because He knows the reason you want to join a course. He interacts with students in a real time world.